As business people and entrepreneurs, we’re often moving too fast to stop and consider what success actually means to us, let alone how we know when we’ve achieved it? It’s a tough but important question to ask, and answer. 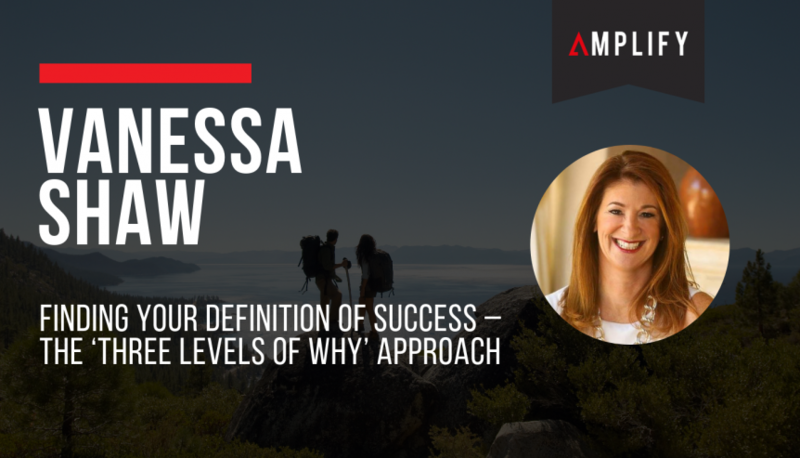 That’s why I was so glad to have the chance to talk to International Business Success Coach and Inspirational Speaker, Vanessa Shaw, on a recent episode of The Bond Appetit Podcast. She has an incredible knack of getting to the heart of the issue in a simple and effective way. And she certainly did when she introduced me to her ‘Three Levels of Why’ approach to finding your definition of success. Level one is about determining what your definition of success is. As Vanessa puts it: “Level One is about you. Why is that goal important to you? What is it you want to achieve from that? It could be just a sense of accomplishment, or it could be a pair of Jimmy Choos in your closet.” While at level one you are still focused on your own motivations, when you move into level two your target will expand. This level focuses on where your loved-ones stand in your definition of success, and how they might benefit from it. This might be something as simple as: “I wish my kids could have a different experience to me,” Vanessa says. You can see this approach is starting to open up a much broader picture of what success might mean. Level Three in this approach means thinking about what is the bigger contribution you’d like to make in life – the charities, the church, the causes that are close to your heart. Think about it in terms of how, when you reach a point of abundance, would you give back. For what would you write a cheque without even thinking about it? It’s a lot to think about. And we’re only just touching the surface here. But it is useful framework to get you think about what success really means to you, as an individual, and in a broader perspective. When your goals as an entrepreneur is achieving what you want for yourself and for your loved ones and confidence. That come with the underlying intention to deliver real and positive change to the wider community and world, your successes become that much easier to move towards. Listen to my entire conversation with Vanessa Shaw here.